This is a fun picture. I don’t remember exactly when I took this, but I believe it was last weekend. The title says: “Pink Fireworks”, and that is because this plant is called “the firework plant”. 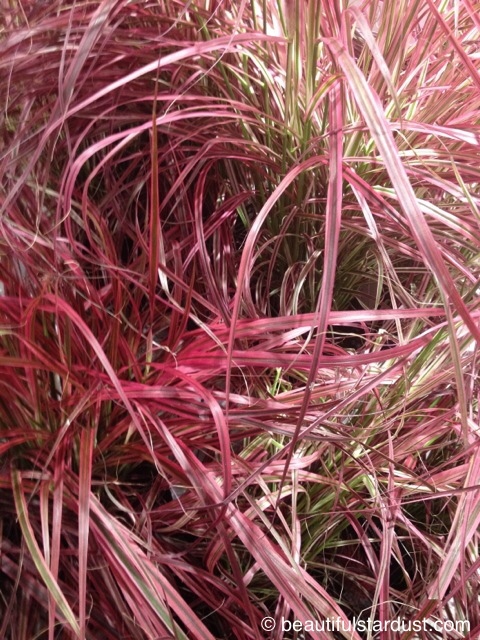 I absolutely love the pink colour of this plant, I just had to take a picture of it. The green “leaves” in between all the pink really highlights the picture. And one more thing! I will only post once a week for a while. I mentioned this on my twitter (@bstardustsite), and I would recommend you follow it if you want news about my blog. This is a random picture. I was working on my homework yesterday, and suddenly a butterfly decided to rest on my sunshade. When I take photos, I always picture how it would look like if it was hanging on a wall in a living room. 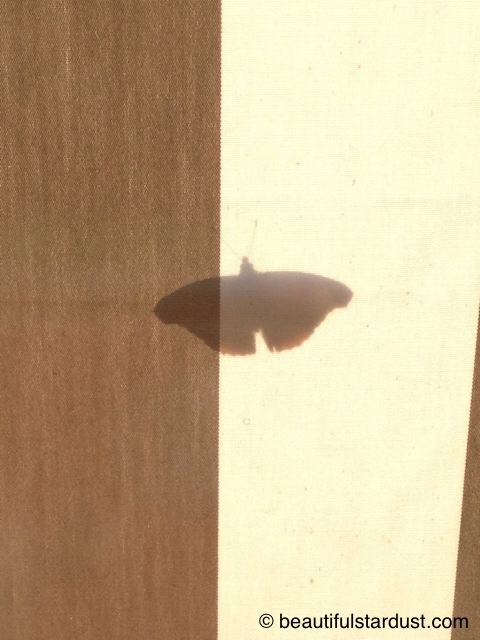 Although this might not be anything you would want to have framed on your wall, I think it’s just a really cool shadow of a butterfly, and I wanted to share it with you! If you look closely, you can even see the butterfly’s antenna. Just a little detail I think looks awesome. What do you think of this picture? I have some other pictures from different angles, which I might post on my twitter (@bstardustsite), if some of you are interested. I took this picture yesterday at school. Me and one of my best friends were outside during the lunch break, taking some pictures for this site. It was sunny and a bit cloudy, but it was freezing outside! I’ll make a collection of some of the pictures we took for those who are interested. You’ll find them under the “Collections” page. I’ll start working on it when this post is published. 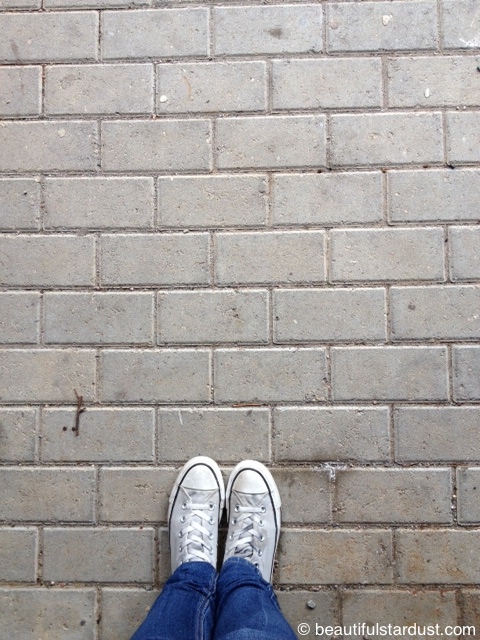 So as you can see, this is a picture of my grey Converse, my blue jeans and the grey brick floor outside the main entrance. A funny thing about this picture, is that if you look at the bricks without looking at the shoes, it looks like a brick wall, instead of a brick floor. How was your first week of school? 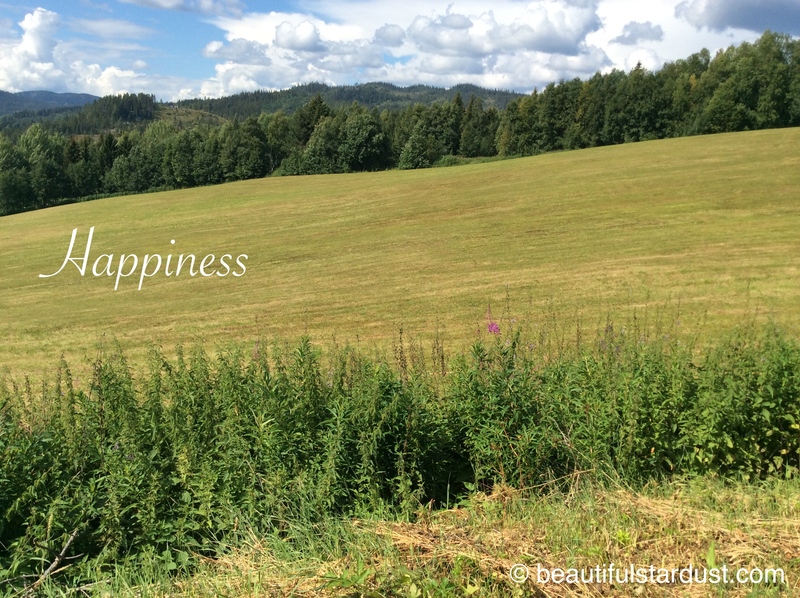 I have called this picture “Happiness”, because that’s what I felt when I was taking this picture. It’s the same place as in the last post, “Colours By The Road”. In fact, that road is located to the left of this picture. 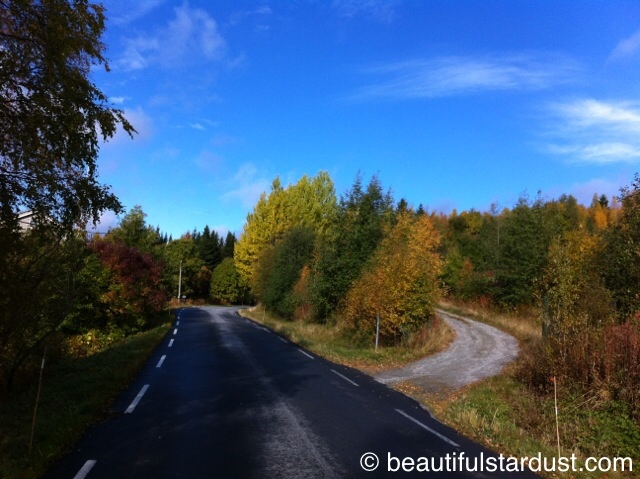 The “Colours By The Road” picture was taken during the autumn, while this is taken during this summer, which is why there are more colours in the last picture. I absolutely love the sky in this picture. The shadows on the clouds and the different tones of blue is just gorgeous. If you have been following my blog for a while, you’ll know this is the first picture with text on it, other than the copyright text. Leave a comment if you think I should make more pictures with text on them, or if the plain ones are good enough. Do you have a place like this? A special place from your childhood? Post in the comment section, I would only love to read your comments, and I’ll try to reply at my best. So, I was browsing through my iPhoto one day and I found this picture from ages ago! I can’t remember when it’s taken, but I think the different colours on the trees and the plants look really great together. The colour of the sky fits perfectly with the orange and green tones on the trees. The quality might not be the greatest, but it’s a beautiful photo, so that makes up for it. I love this place. It’s got a very special place in my heart. As I mentioned in a post a while back, I really want to make this blog more stabile. Since my school, starting this thursday, will be eating up a lot of time, I have to see which day I have the most time and the least homework. I hope I have time to post two times a week, and because of that, Saturday might be one of the days in this upload schedule. Until I get my school timetable I can’t really say what the other day will be, but I really want the other post to come out either on Tuesday or Wednesday. Post in the comments what days you would like me to post, and I’ll see what I can do about it! I’m thinking of starting a youtube channel, where I’ll post videos about special things in our everyday life and other random stuff. What do you guys think? Post your opinion in the comment section, and I’ll try it out in the near future. Follow if you're interested in more posts!